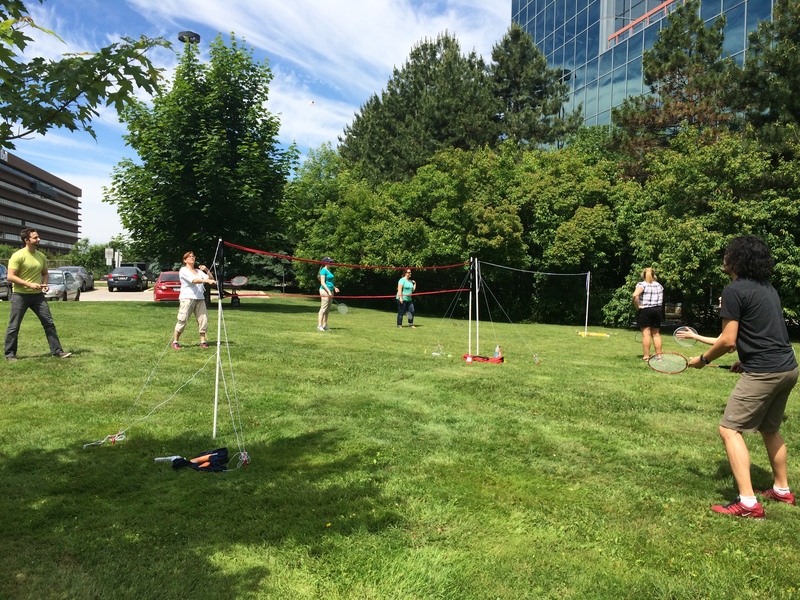 One of the many things I love about my work at Ophea is that we not only promote healthy, active living in schools and communities, we encourage our own staff to get out and play. Today was our monthly full team staff meeting, a day where all 30+ staff meet to learn and share about upcoming projects and hot trends/topics. 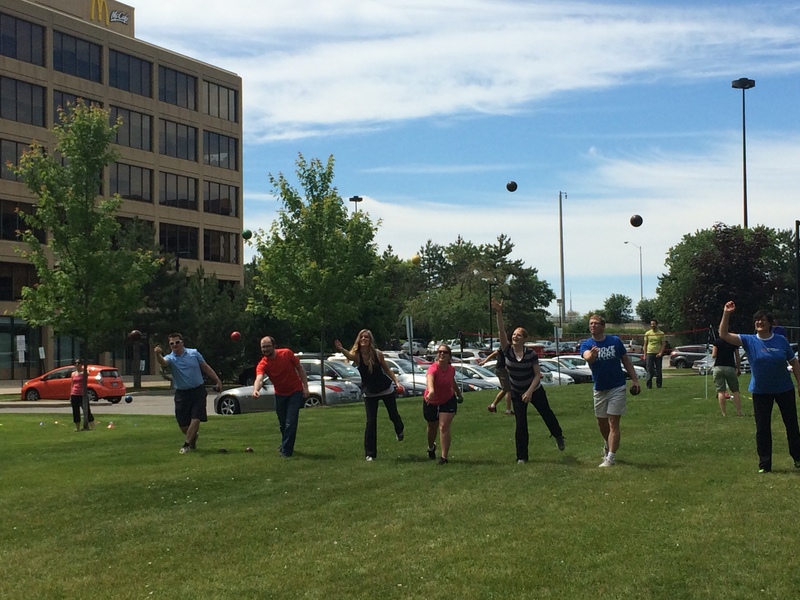 Today we did something different – as a staff – a group of adults – we played! 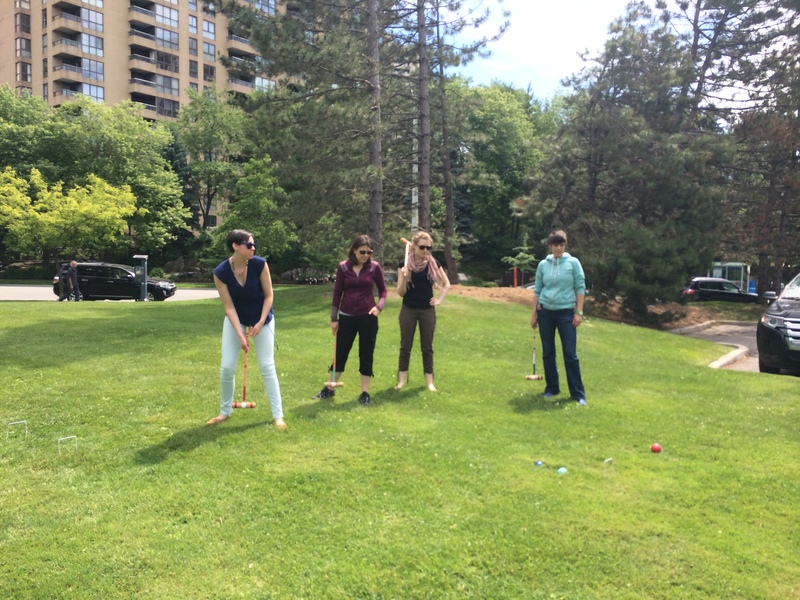 Bocce, Badminton, Croquet, Frisbee, and Horseshoes were all on the activity plan and everyone got moving to their choice of sport and had fun. We connected as a team, we got to know each other better, we got active together and we played. This Saturday marks ParticipACTION’s Longest Day of Play event. June 21st is the Summer Solstice and the day with the longest period of daylight in the Northern Hemisphere – so why not celebrate it with play! Use the extra daylight to go for a hike, play some Frisbee, get out for a walk or run, do something that is fun and playful for you, and enjoy the longest day and Longest Day of Play! For more information on PartisipACTION’s Longest Day of play click here! How did you play on Saturday June 21st? Share it in the comments!